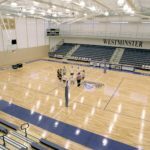 The Westminster Health, Wellness & Athletic Center integrates health and well-being into the heart of the college through an imaginatively conceived central campus center where healthy activities are celebrated and accessible to students and faculty. 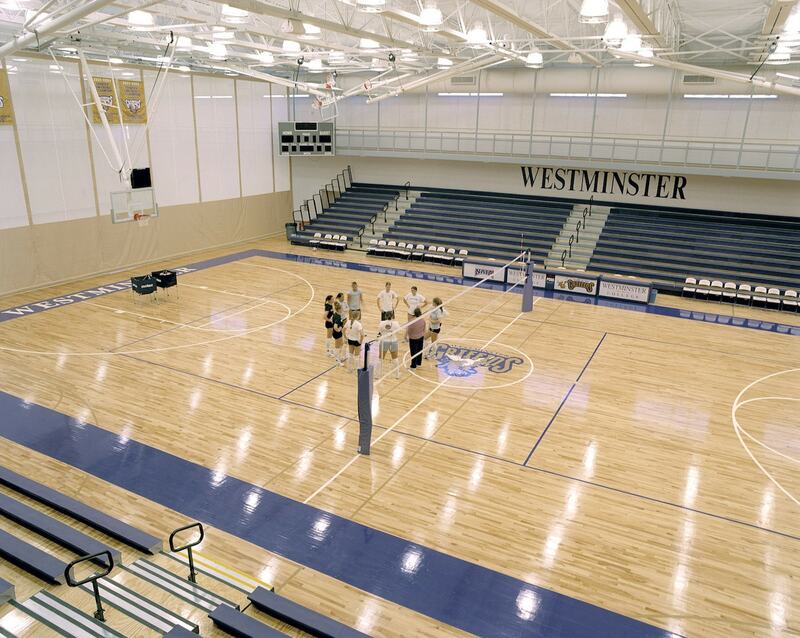 The Westminster Health, Wellness & Athletic Center integrates health and well-being into the heart of Westminster College through an imaginatively conceived central campus center where healthy activities are celebrated and accessible to students and faculty. 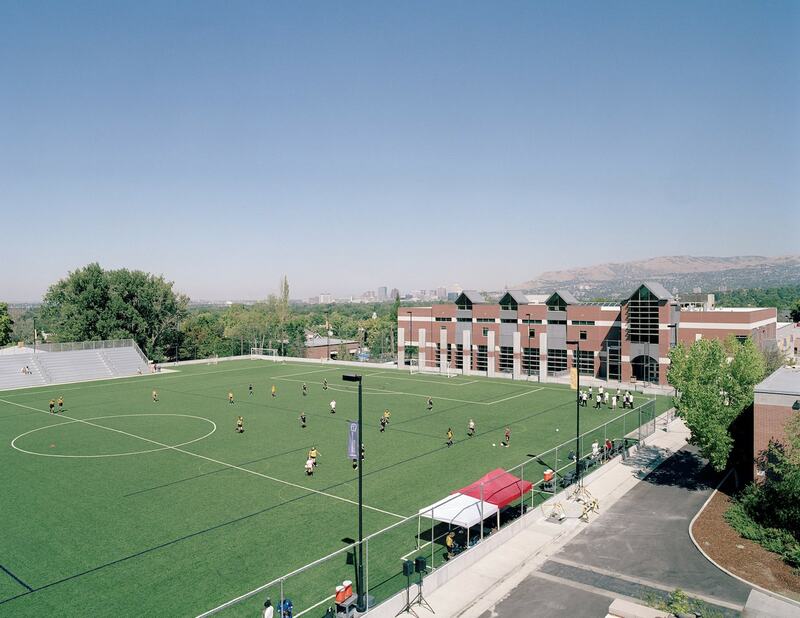 Functional adaptations of historically derived architectural elements that help capture and modulate daylight, also contribute to the integration of the building into its historic campus context. 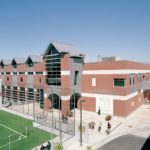 The three-story, 84,500-square foot facility houses a swimming pool, fitness equipment, a weight room and exercise studio, and a technically challenging 46-foot climbing wall. 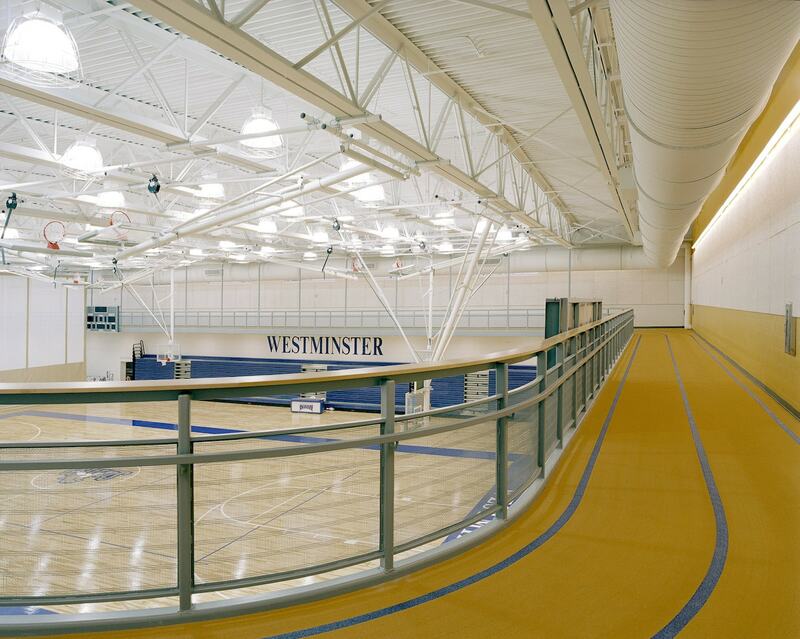 Above a field house that holds 1,200 spectators is a suspended running track with a high-tech surface and corner windows with views. 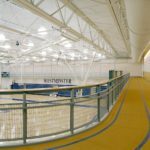 The field house includes locker rooms, team meeting rooms, and ample equipment storage space for intramural and intercollegiate sports, including men’s and women’s basketball and women’s volleyball. 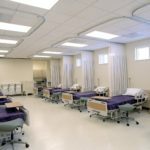 The third floor of the facility contains the Center for Nursing Education, the new home to the School of Nursing and Health Sciences. 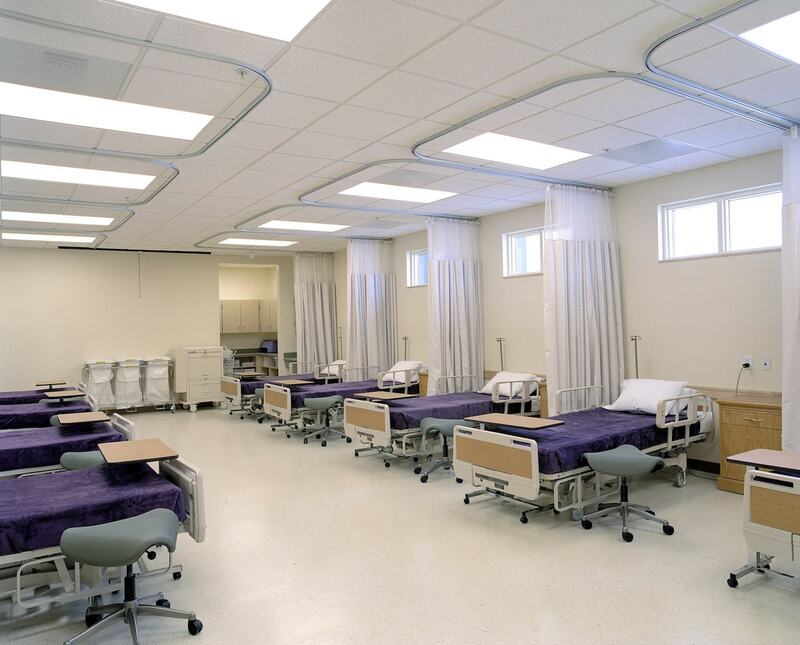 In addition to standard nursing school facilities, the center contains two technology-rich labs and a human simulator lab with life-like Laerdal SimBaby and SimMan, known as “high-fidelity, universal patient simulators.” The simulators help students learn under real-world conditions, but within a learning environment. 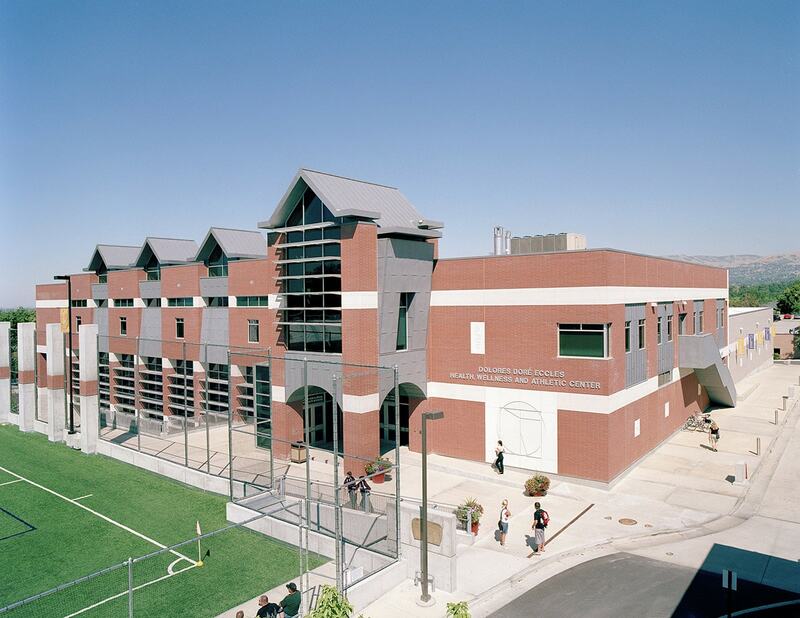 The nursing school has a clear sense of being in the middle of the activity, because the climbing wall penetrates their floor, letting nursing students watch climbers from their lounge area. 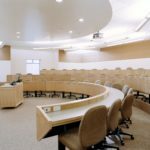 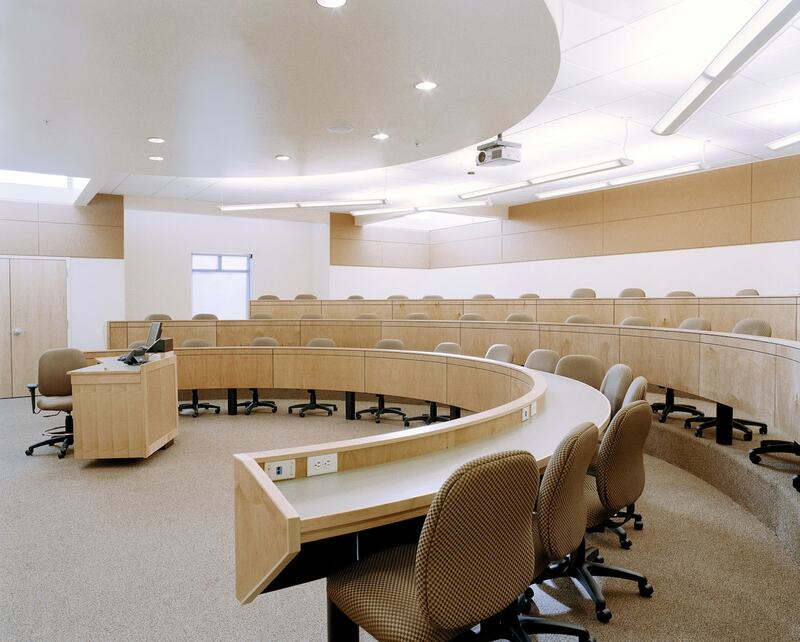 The design maximized the different heights of the gymnasium, pool and locker rooms to provide space for the School of Nursing for two-thirds of the cost of a stand-alone building. 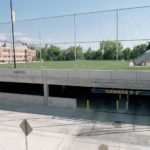 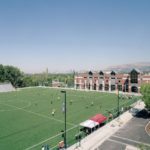 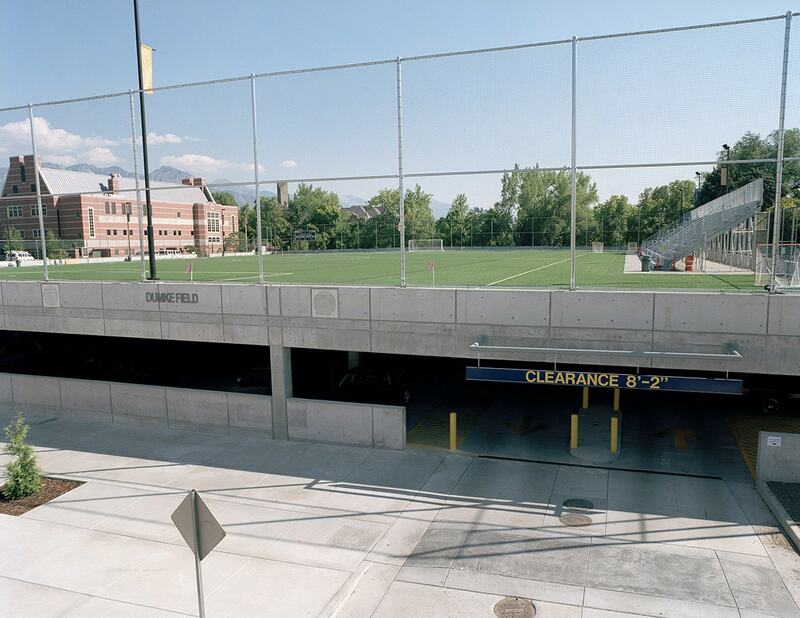 To complete the optimization of scarce space on this urban campus, an International size soccer field was elevated above a parking garage that furnishes 370 parking stalls, effectively hiding cars from the close residential neighborhood while doubling the amount of usable space on the site.